Postcard US-2205864 to Belarus was one of the several wildlife cards that I bought at the Mount Charleston Visitor Center. 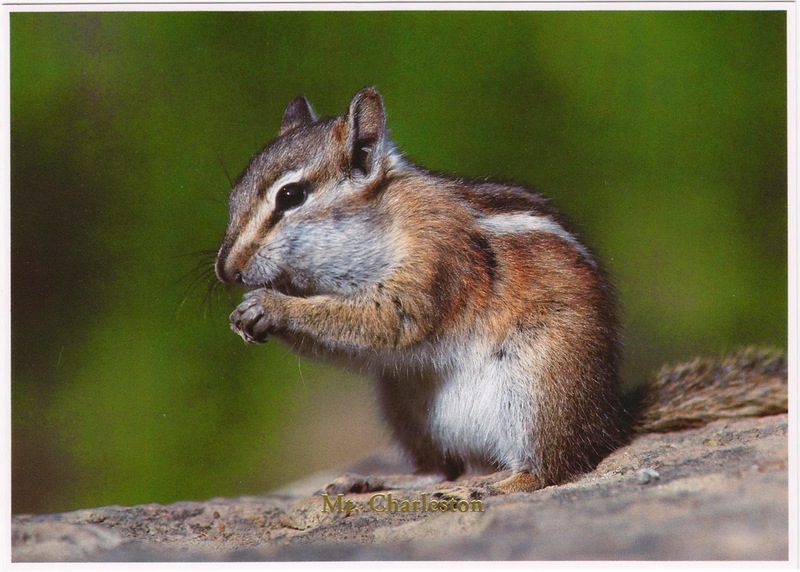 The description on the card says "the Least Chipmunk climbs swiftly and nimbly, often ascending tress to sun itself or build a summer nest. The winter nest is less sheltered and constructed of grass and other fibrous or downy material. It will use its large cheek pouches to carry food back to its nest. It feeds on seeds, fruit, insects and reptiles."